2018 marks the 50th anniversary of 1968, one of the most tumultuous years in United States history. To commemorate this landmark period, in which Chicago played no small part, the Roosevelt Review asked current student Baylee Allen and alumnus Ray Grossman to discuss the events of 1968, how the country has changed since then, and how they’ve developed passions for civil action. Watch the in-depth conversation between Allen (BS Forensic Psychology, ’18) and Grossman (BA Liberal Arts, ’68; MA Public Administration ’72) below. 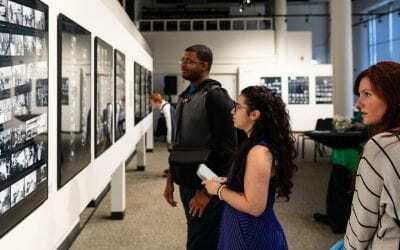 Beneath it is a gallery of photos — some of which are from Roosevelt’s student newspaper The Torch — found in the Roosevelt University archives that chronicle the social movements in the 1950s and ’60s surrounding the fight for civil rights in America. 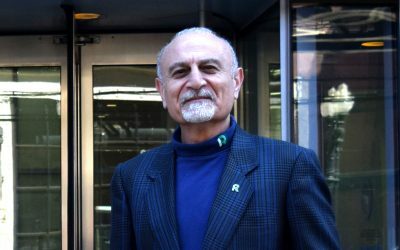 Civil rights activist James Forman attended Roosevelt from 1954 to 1956, was elected student government president, and chaired a delegation to the National Student Association meeting in 1956. 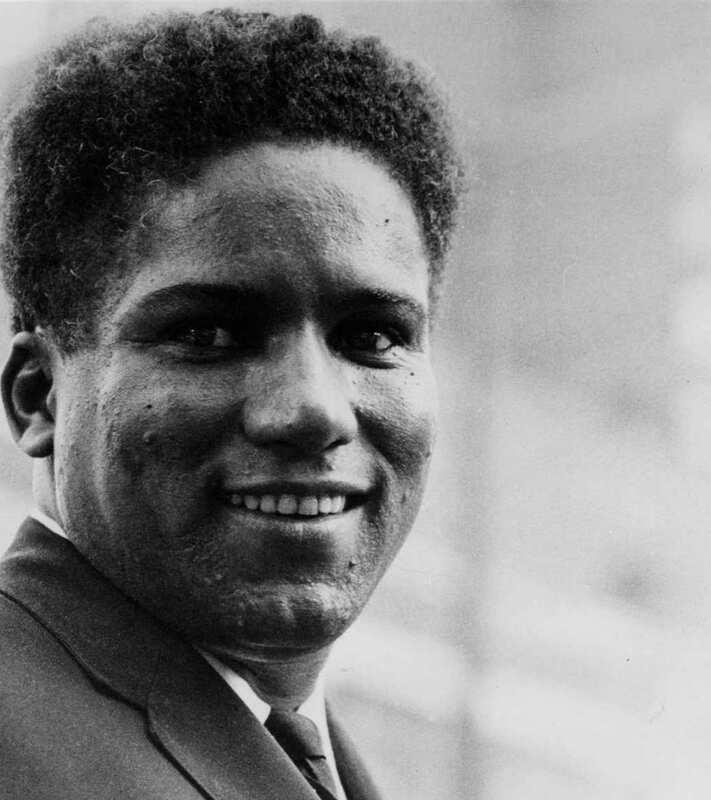 Gifted with great organizational skills, he was the executive secretary of the newly founded Student Nonviolent Coordinating Committee (SNCC) from 1961 to 1966 and later worked with the Black Panther Party and the International Black Workers Congress. He passed away in 2005. 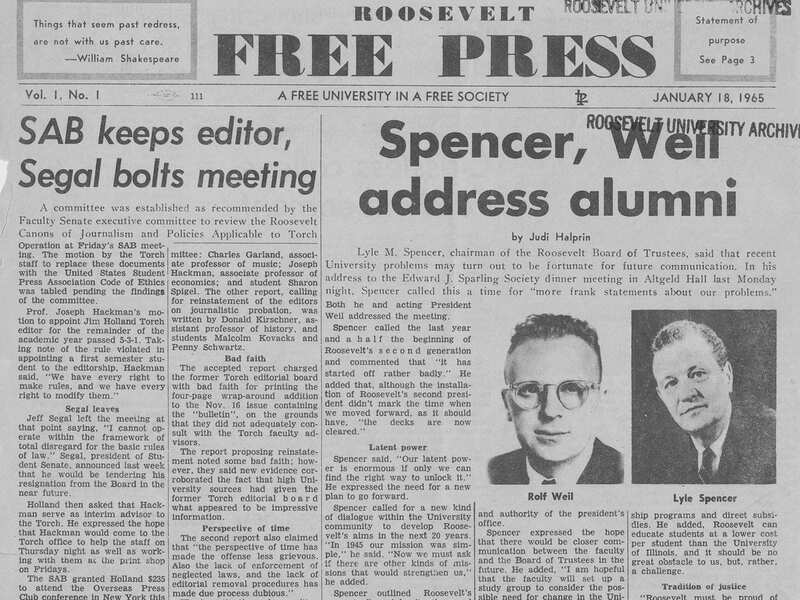 In 1964, a controversy over a story on Robert Pitchell’s resignation led to the suspension of Torch editor Judi Halprin, as well as other staffers, who then founded an alternative paper, the Roosevelt Free Press. 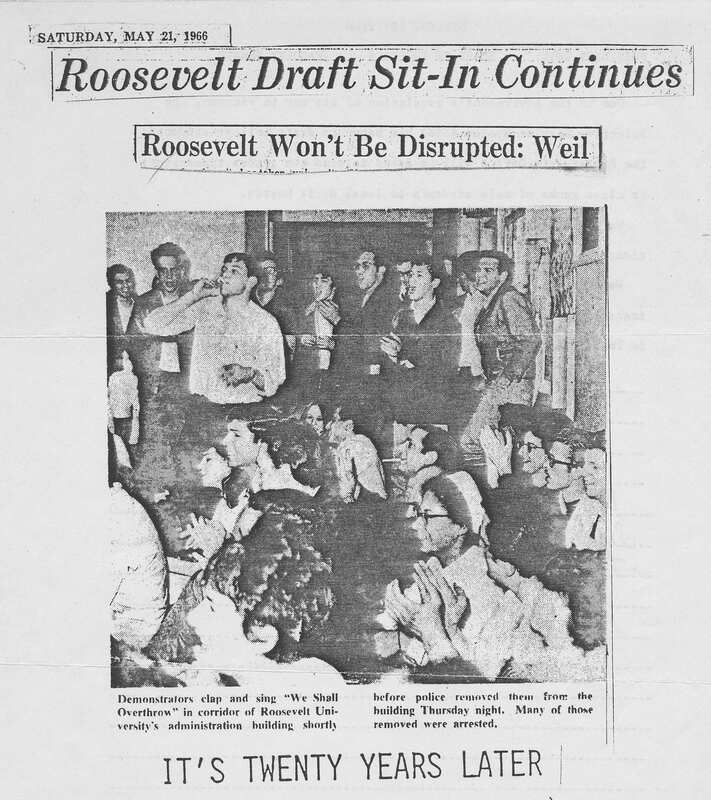 In 1966, students and faculty protested the university providing class rankings to military draft boards. 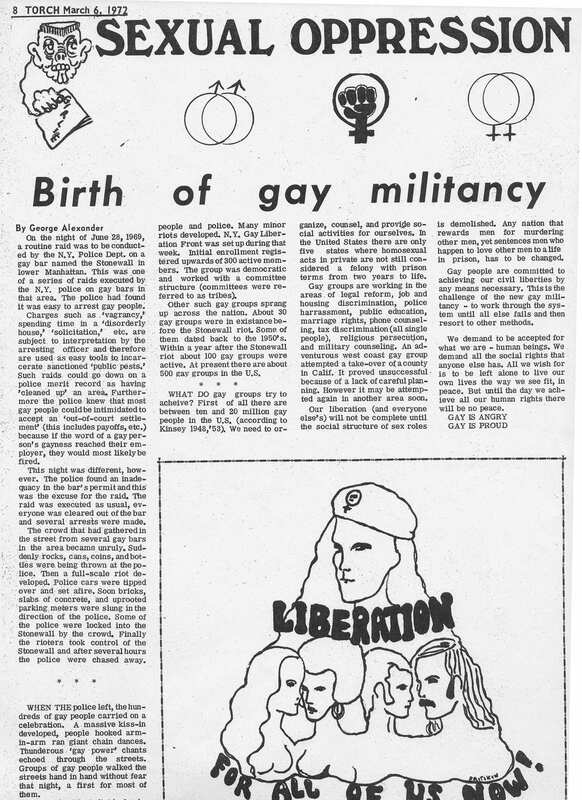 The Torch published an article on the Stonewall riots and gay politics in 1972, showing an early recognition of what would become a major social movement. The same issue includes calls for women’s liberation and a condemnation of sexism. 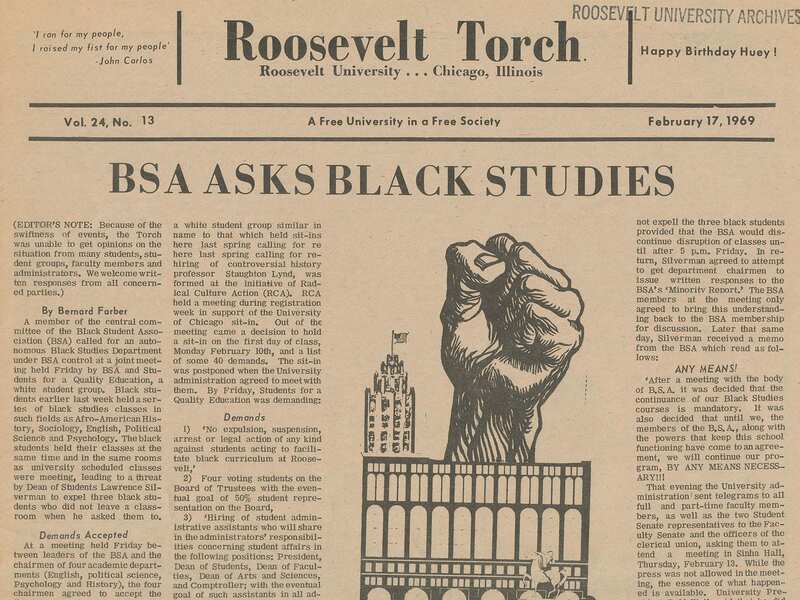 In 1969, the Black Students Association, which had been founded two years earlier, demanded a black studies program and organized a sit-in of 150 students in the president’s office, leading to student expulsions and arrests. 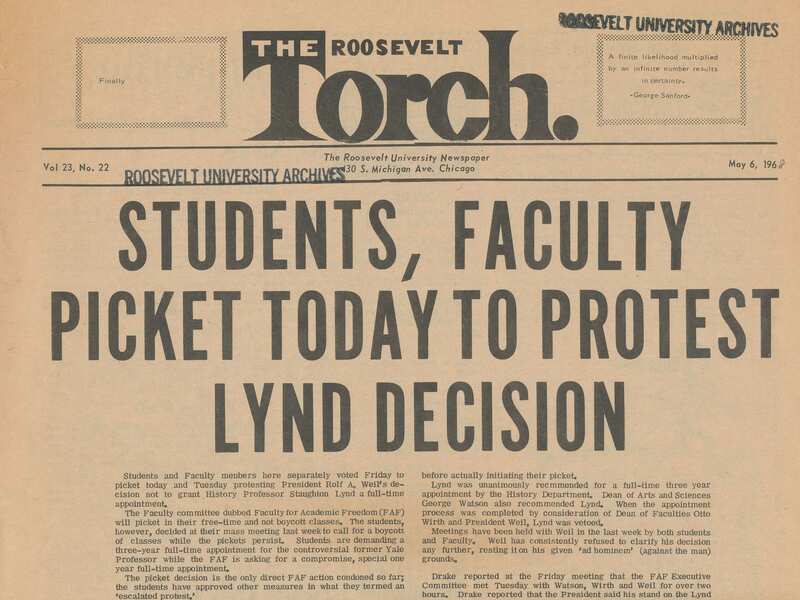 In 1968, the university rejected the history department’s recommendation to hire activist historian Staughton Lynd. Students and faculty picketed the building and occupies university offices. Many were arrested or suspended, and some faculty announced the formation of a “free school” for expelled students.